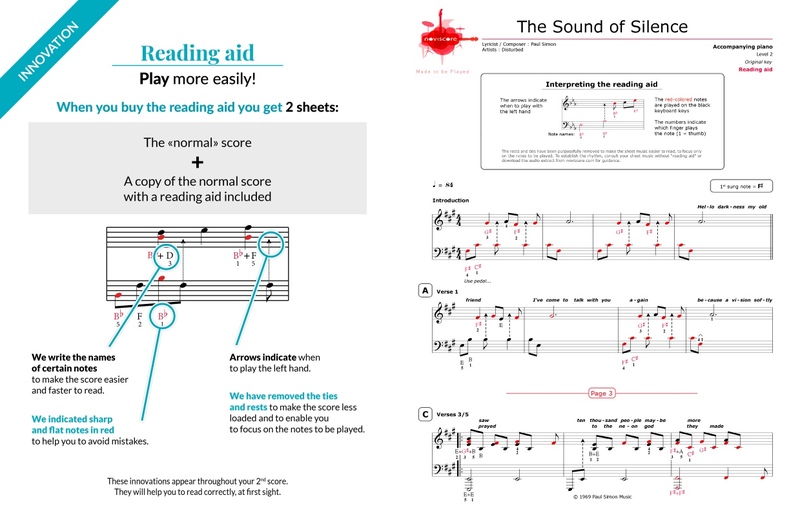 Try our piano sheet music for this great cover version of Simon & Garfunkel's The Sound of Silence by American heavy metal band Disturbed founded in Chicago in 1994. 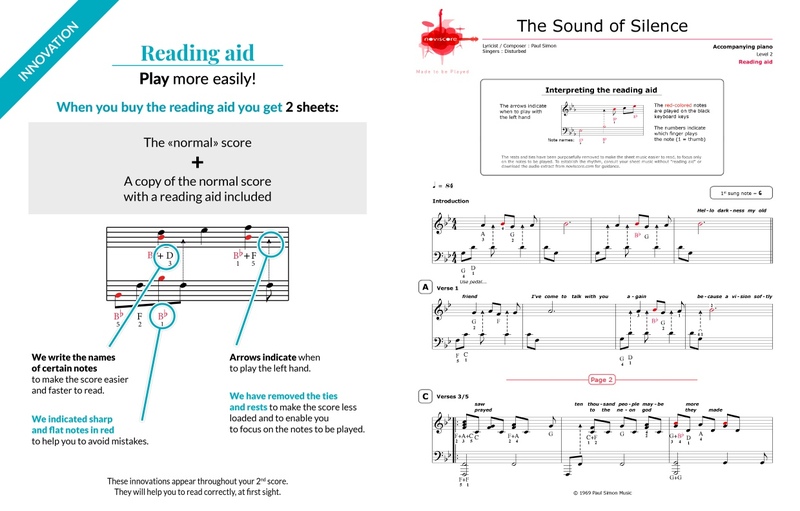 Sing along to our piano accompaniment version level 2 available with reading aid if required. The single was released in December 2015 and has achieved worldwide success. 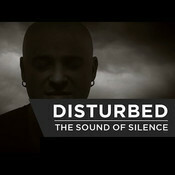 This cover by Disturbed featured in the trailer for the video game Gears of War 4. 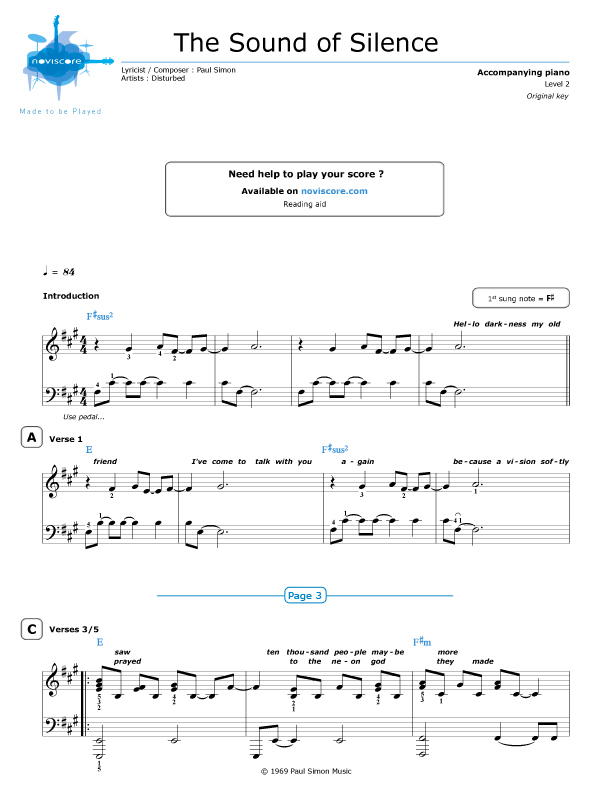 We also have piano solo sheet music for the original version by Simon & Garfunkel. 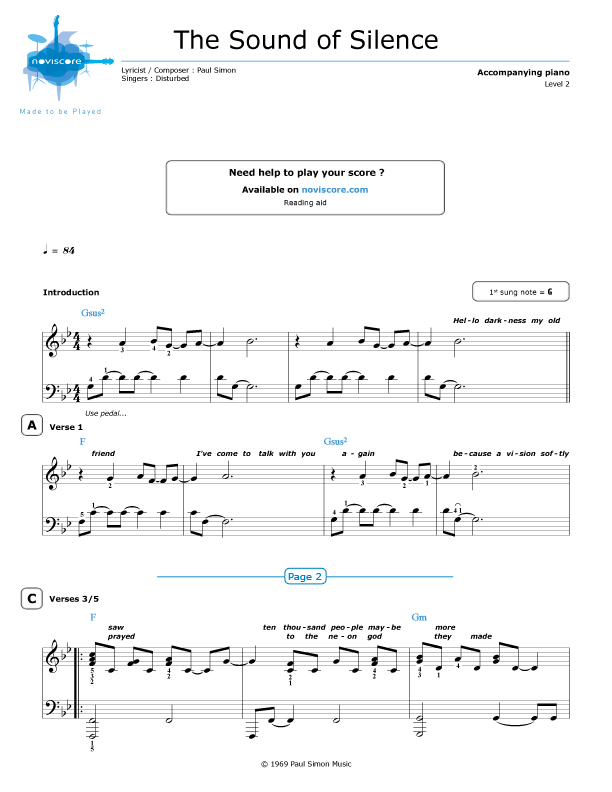 Click here to access it.